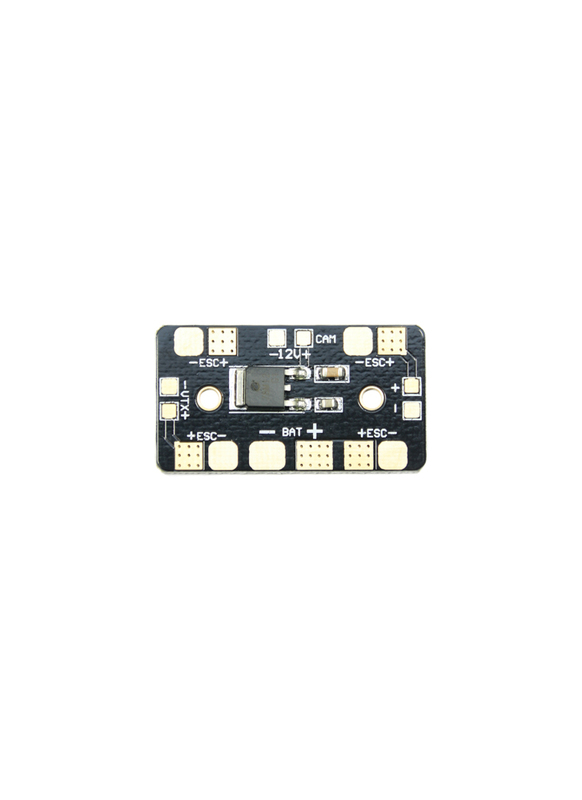 Here we have a mini power distribution board (PDB), which is ideal for micro quads, 200 to 180 size. 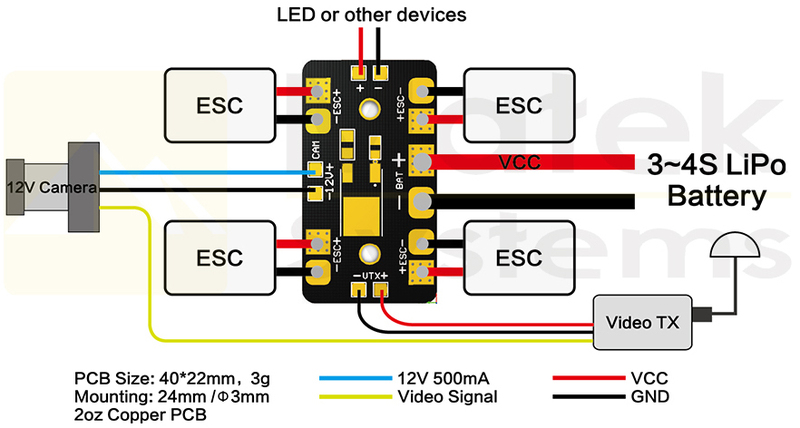 The board itself provides four ESCs output connections, two unregulated auxiliary power output connections and a single 12v regulated connection, which is ideal for powering a 12v FPV camera. It uses a linear regulator which is better than a switching type regulator for FPV applications, as it reduces output voltage ripple and does not emit radio frequency interference, like switching regulators sometimes do. If you require just the 12v regulator rather than the whole PDB, it is available here.